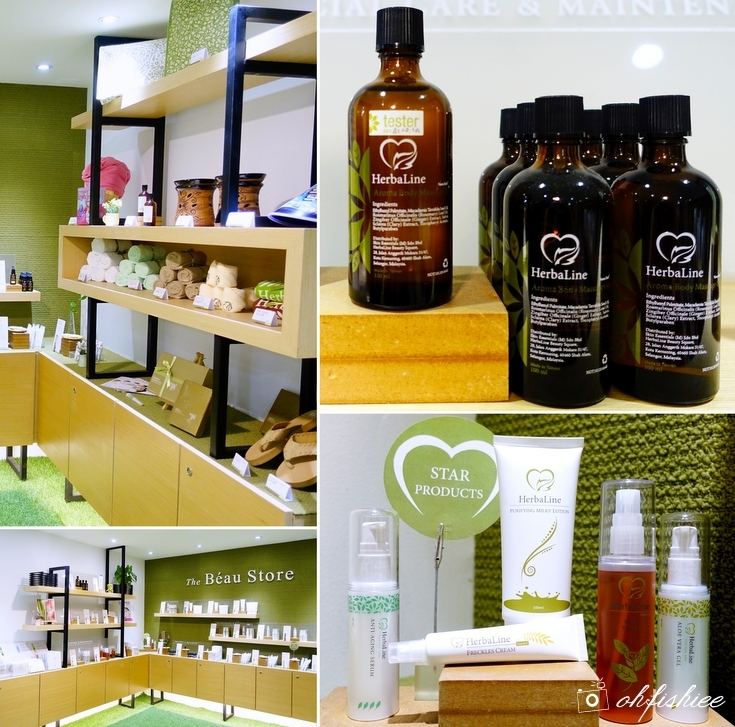 Herbaline has always been a famous spot for facial and massage treatments, but have you visited its latest new-concept outlet at Pandan Indah? 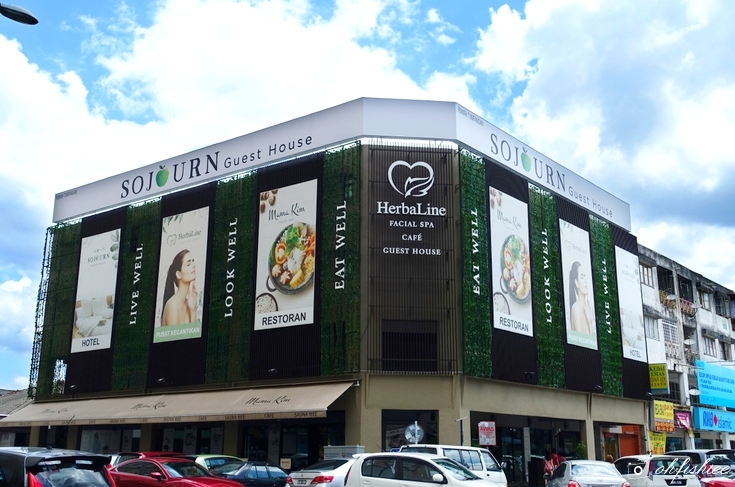 Located near to TMpoint and Maybank in the neighbourhood of Pandan Indah, Herbaline Spa Centre wows us as a one-stop platform for spa, food and accommodation. 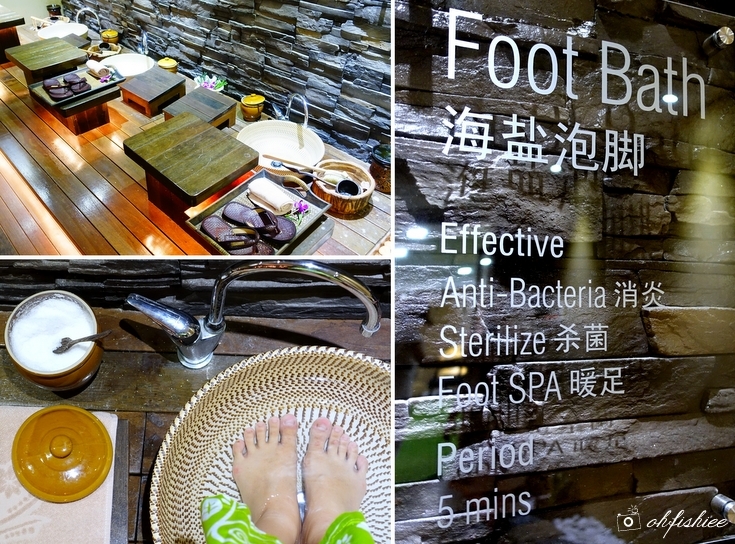 Under the name of Herbaline, they have Facial Spa, Cafe and Guest House to complete your rejuvenation journey here. 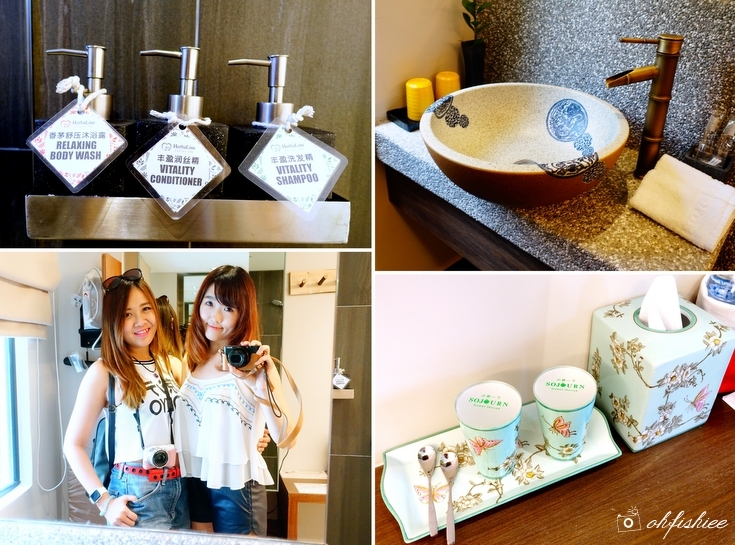 Sojourn Guest House is also the very first outlet in Herbaline that provides is more than just an ordinary facial and massage centre-- but also offers packages that include facial treatment, dinner, stay, and breakfast. My 2-day-1-night experience is absolutely relaxing, free from the hustles and bustles of the city. Located on the second and third floor, there are 27 rooms in total, ranging from Single Room to Twin, Queen, King and Family Room. 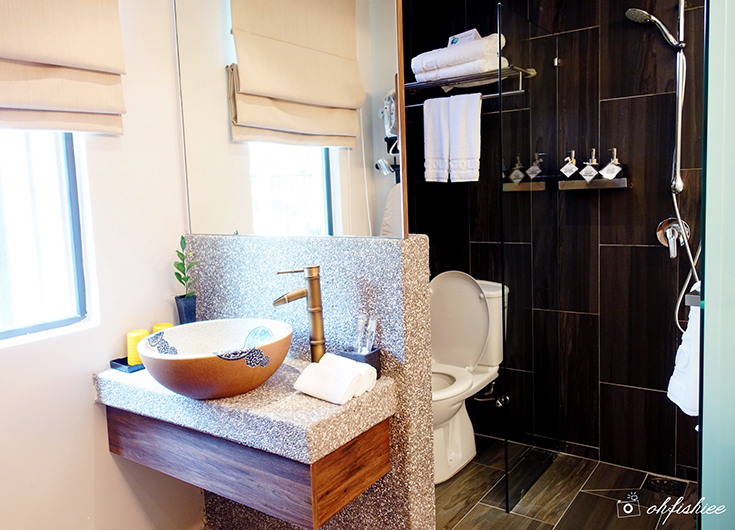 Each floor exudes a different sense of comfort and coziness as it is decorated with different themes. Mine is in the blue oceanic theme, reminding me of a beach holiday! The room is very well-equipped with basic amenities such as toiletries, safety box, hair dryer, towel, iron and board, toothbrush and paste, TV, slippers as well as 2 complimentary bottles of mineral water. My roomie and I are totally in love with the beautiful little decors here. They add a touch of elegance to the room, making us feel like being at a home away from home. Our kimono is prepared on our bed too! Just put it on before heading for the spa. The above picture is taken at the washroom of my neighbouring room-- the large Family Room. how cute is that right? Moving to the hallway on the third floor, I feel like stepping into a heaven that pampers my exhausted body, mind and spirit. It is divided into 4 zones: Aroma Zone, Meditation Zone, Reading Corner and Lemongrass Zone; totally free for the guests to explore and hang out around this public space. 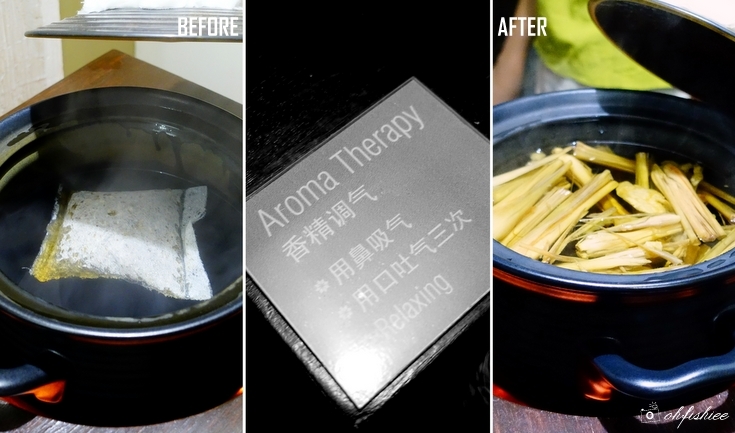 Lemongrass Tea Zone: Here you help yourself with bottomless Lemongrass Tea, from 12pm to 8pm, that soothes all illnesses. Green Tea teabags and water dispenser machine are available here too. Meditation Zone: Treat yourself with a calm and stress-free odyssey! But we ladies prefer spending our time chilling and chit-chatting here till late nights. Reading Zone: Keep away the mobile devices and grab a book instead. I am sure that some can easily spend the whole evening here quietly. Our rejuvenation journey continues with a choice between Cleansing Facial or Body Massage Treatment at HerbaLine on the first floor. Best to make advanced bookings to avoid disappointments. before the staff escorts me to the beautiful HerbaLine treatment centre. understands your skin concerns and recommends the ideal treatment for you. is known for its high Vitamin A and C content, exuding a distinctive fragrance and lemon taste. Remove your shoes and slowly step onto the pathway leading to ultimate relaxation and tranquility. Foot Bath Zone: Enjoy a quick 5-minutes sea salt soak to soothe the feet. 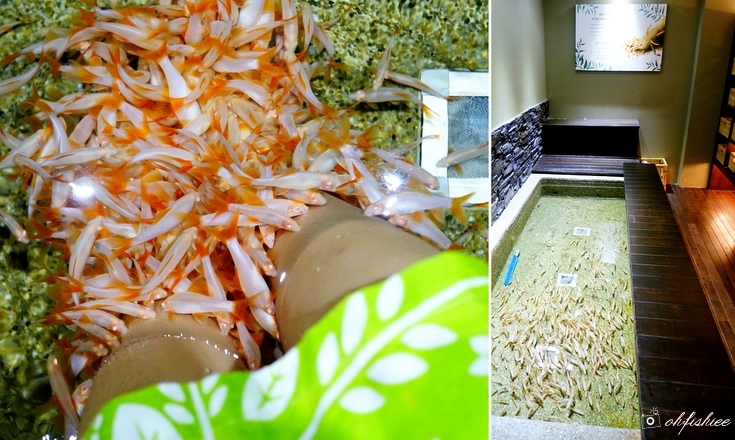 a fun and relaxing experience if you don't mind about the ticklish feeling! Look at the girls, so enjoying! 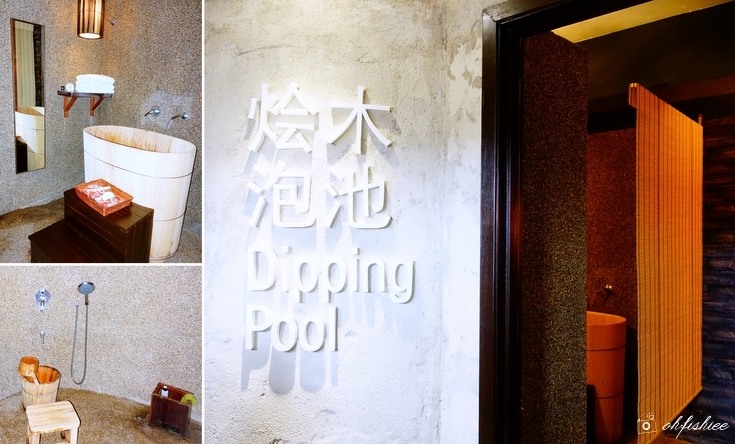 Dipping Pool: Complimentary for HerbaLine customers. But male customers must be accompanied by females. before treatment, and lemongrass scent after treatment. I feel surprisingly relaxed after that! I choose the specially crafted 60-minutes Jade Stone Acupressure Body Massage that uses proprietary meridian jade forks instead of just bare hands for massage. It penetrates deep into the body to smoothen energy flow, relieve pain, relax tired muscles and improve blood circulation. Hence, the "force" is stronger and highly recommended for those with tired body! Otherwise you can pick the signature Relaxing and Deep Cleansing Facial Treatment to cleanse the skin and soothe the mind. Included in my staycation package, the wax treatment helps to release strain and stress of foot muscles, soften and moisture the feet. As soon as I immerse my foot into the bag filled with wax, it feels warm inside but very comfortable as the wax "seals" the skin around my foot. As for the massage treatment, sorry that I didn't manage to take any photo because...it is so relaxing that I fall asleep halfway. From the head and neck down to the body and feet, the strength used by the massage therapist is just right to unwind my body and boost blood circulations. She is very thorough in ensuring every part of the body is evenly massaged. 60 minutes tick by very quickly, and I wish to extend the treatment time as I'm truly enjoying the body massage! For couples, you can opt for twin treatment room where you can enjoy the massage with your other half. Aloe Vera Gel, Freckles Cream, Purifying Milky Lotion and more. After the spa treatment, we enjoy Mama Kim Sauna Mee for dinner at HerbaLine in-house cafe that helps customers achieve total health and beauty care, because “beauty does not only begin on the outside, but beauty also begins on the inside”. 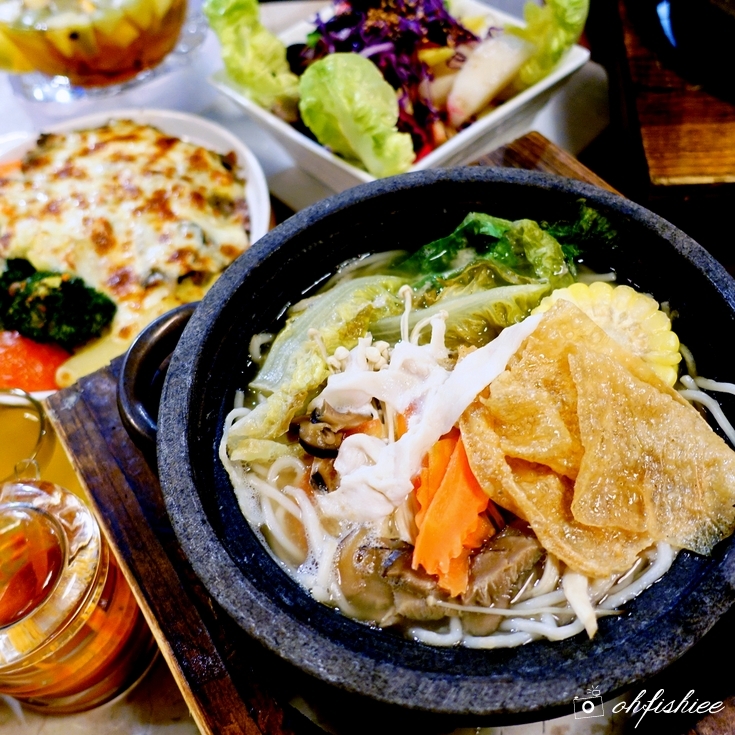 The healthy recipe with the concept of 80% vegetable and 20% meat in a single dish is what makes Mama Kim so popular among the neighbourhood, be it young and old. You can read my food review at Mama Kim: HERE. After having a good night sleep at Sojourn Guest House, we are glad that our breakfast is also taken care of by Mama Kim. 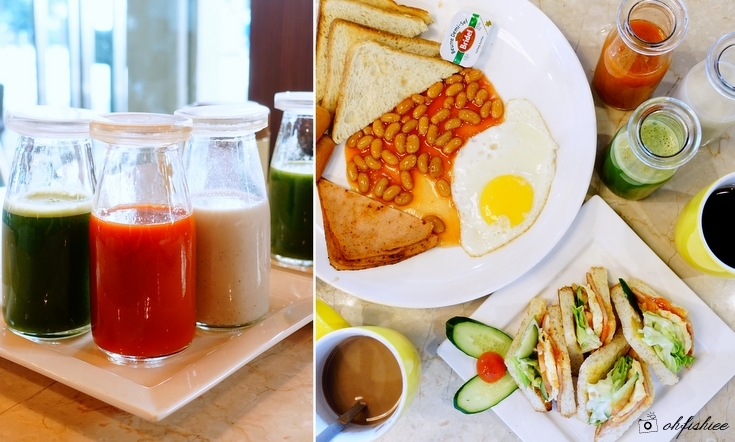 We kickstart our morning with a colorful juice treat-- Vegetable Juice, Black Soybean Drink and Carrot Juice, followed by a hearty breakfast before we bid goodbye to the amazing Sojourn Guest House team. 1. A new and interesting concept of housing a spa centre, cafe and guest house under one roof. ❤. The overall experience is a good, complete rejuvenating journey for the body, soul and mind. 2. 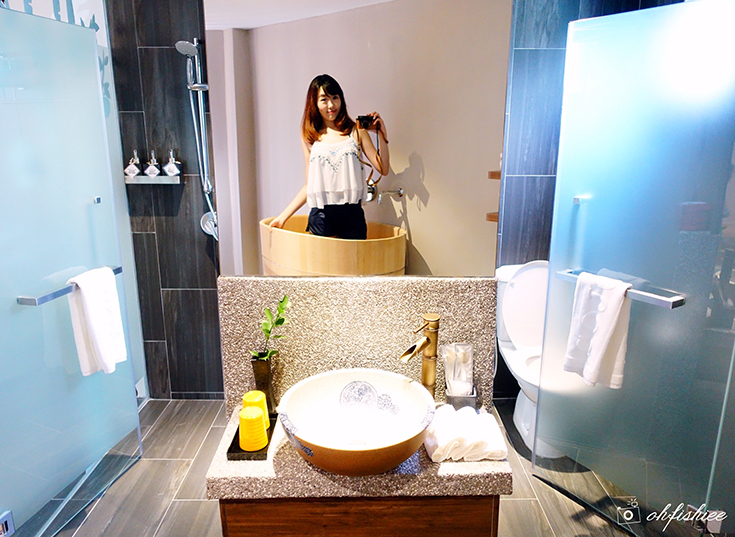 The package that I try costs me only RM144 per pax, which I think is pleasantly affordable for all. 3. This relaxing beauty and wellness experience is recommended for individuals, couples and family. a nice place to hang out with ladies. shall let my friends know of this, she is busy mom like me. this is a very good place for resting well . can stay , food around , enjoying spa....love it. I saw your pictures in your FB before. I thought this guest house is located outside malaysia. Wow, I am impressed! Wah... So relaxing. Nice place to stay and can enjoy the spa too. I want to try it too. This sounds so relaxing. I must make an appointment soon to relief my aching body. This place is new to me, might dropby their restaurant if I go to that area. This is a great place to unwind and relieve the stress. 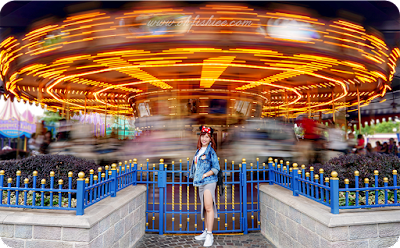 One place to runaway from everything and let it go. Thanks for recommending the place. wow. really nice guest house they have.unique concept too. would love to stay one day. That's a nice option for weekend getaways. Some serenity and rejuvenation all packed into an affordable price. The convenience of food as well though I think they should have done a better job with the breakfast. I assume that is ham and sausages...that should be off the menu! Is it only for ladies ? What about gents or married couple ? Looks like you had great experience there.. Thanks for great article.. Had cleansing facial in Manhattan recently and I think going to the spa for a facial has lasting benefits that can drastically improve the look and feel of skin. A great website to help me be able to play with everyone slitherio worldwide. I love this site. Thank admin much. Nice post, thank you for sharing. I think that is good place to visit. When I was in Austria, the best spa there was http://wellcum.at/en/. Thanks so much for sharing! Lots of thanks for this post. I think it is a very good post. It helps us many away. So many many thanks for this article. Facial skin care is important for "waking up" the skin, getting rid of dead skin cells, and handling blackheads and whiteheads, particularly if you have a busy schedule and do not get much rest. Download it as well as Log In with your existing Online Banking User ID. Official Page You will certainly be eligible to acquire their Online Services.